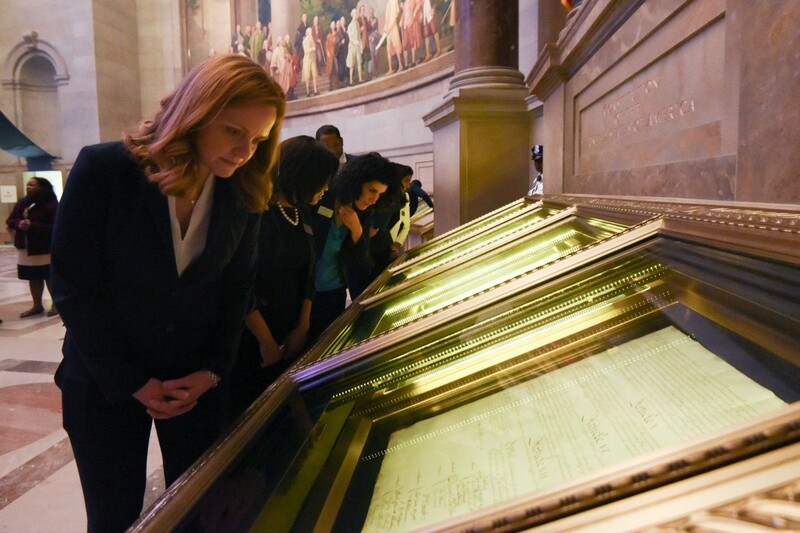 Last week, the 2017 Class of Presidential Leadership Scholars (PLS) kicked off the third year of the program with a week full of sessions and activities in Washington D.C. There, the impressive group of sixty Scholars — representing diverse backgrounds and viewpoints from a variety of sectors including corporate, nonprofit, government, education, healthcare, the military, and more — came together to embark on a six month journey to cultivate leadership skills, develop personal projects for social good, and form lasting relationships that will live well beyond this program. 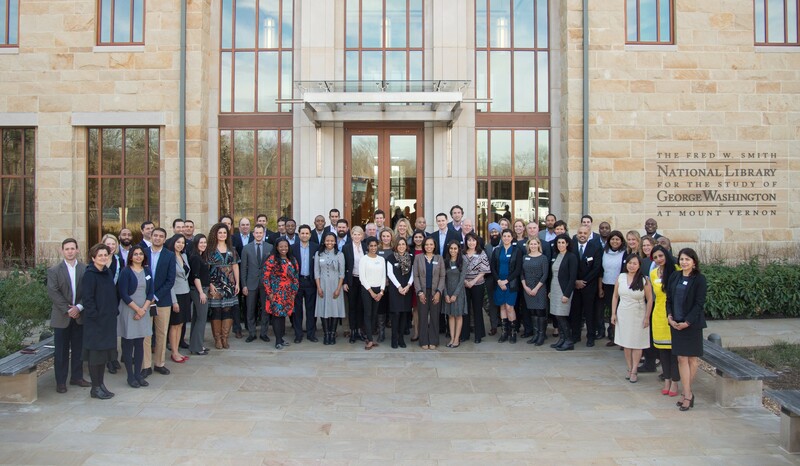 Now in its third year, PLS is a partnership between Clinton Foundation and Presidential Center in Little Rock, the George W. Bush Center in Dallas, the Lyndon Baines Johnson Foundation in Austin and the George Bush Presidential Library Foundation in College Station, and brings together Scholars for an extended weekend at each of these centers where they speak with leadership experts and members of the presidents’ administrations, and hear from the presidents themselves. 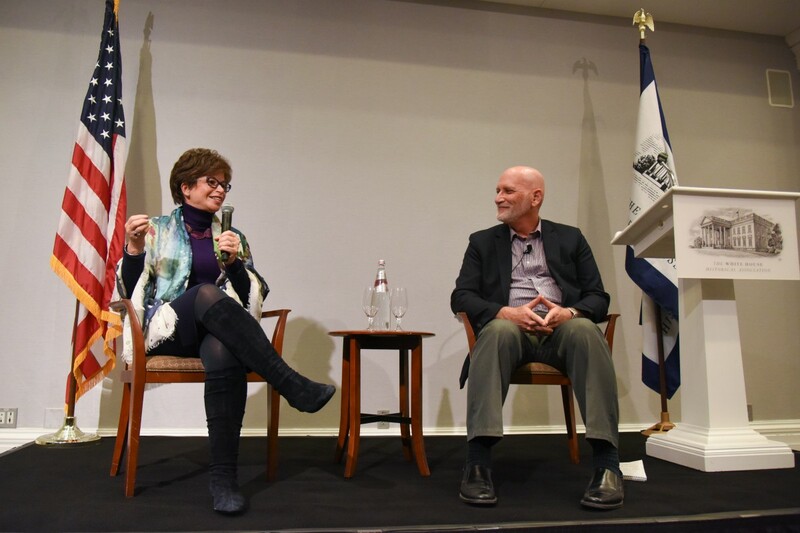 We are intentional in our efforts to maximize diversity across geography, race and ethnicity, employment sector, gender, and even the social issues of their projects, and it is through these candid, and often difficult discussions, that the Scholars really get to know one another. Scholars visited Mount Vernon, the home of President George Washington, where they toured the estate and learned about Washington’s leadership style and impact on defining the role of our country’s chief executive by Richard Norton Smith; and the National Archives where they gained a historic context of presidential leadership by examining the actual Declaration of Independence and Constitution of the United States of America. 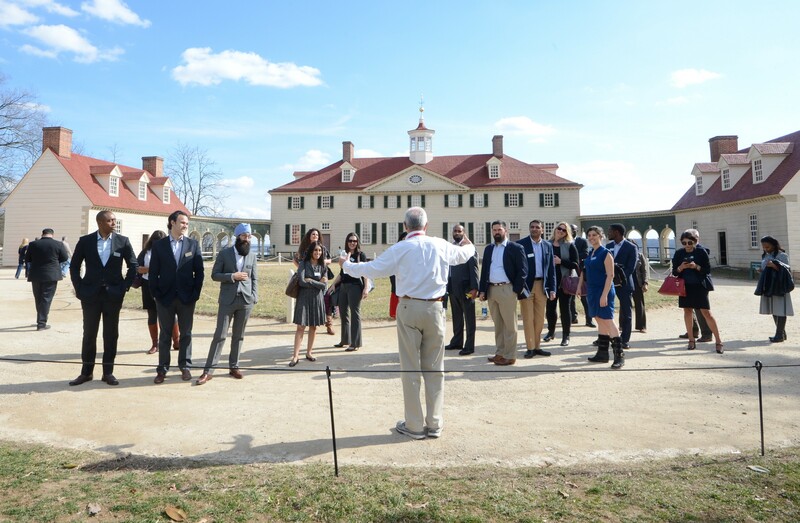 Richard Norton Smith leads a Classroom discussion at George Washington’s Mount Vernon in Mt. Vernon, VA.; Presidential Leadership Scholars tour the National Archives in Washington, D.C.
Secretary Carlos Gutierrez and Secretary Donna E. Shalala participate in a conversation with the Presidential Leadership Scholars at the National Archives in Washington, D.C.
Anita McBride and Valerie Jarrett speak to Presidential Leadership Scholars at The White House Historical Association in Washington, D.C.
Keith Hennessey, Lecturer in Economics, Stanford Graduate Business School, leads a classroom session with the Presidential Leadership Scholars at Georgetown University in Washington, D.C.
President George W. Bush’s former Deputy Assistant to the U. S. President for Economic Policy and Deputy Director of the of the U.S. National Economic Council, Keith Hennessey, currently a Lecturer in Economics at Stanford Graduate School of Business, led the Scholars in a conversation about the leadership lessons of the 2008 financial crisis. 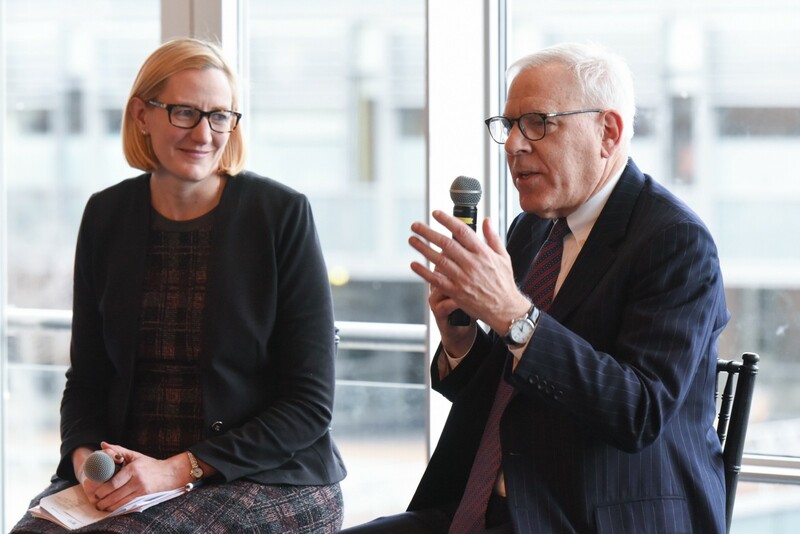 Co-Founder and Co-CEO of the Carlyle Group and noted philanthropist, David Rubenstein shared his thoughts on leadership and challenged the Scholars to continue their commitment to make this world a better place. David Rubenstein participates in a conversation with the Presidential Leadership Scholars at Georgetown University in Washington, D.C.
Charlie Rose, Senior Vice President and Dean of City Year explored the topic of empathy and civility in leadership, and Adam Foss, former Assistant District Attorney from Boston, shared his compassionate vision for the transformation of the juvenile justice system. 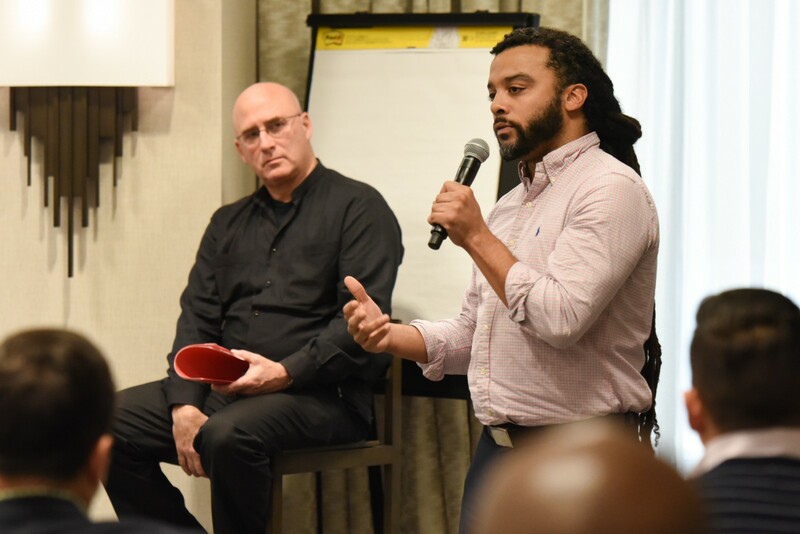 Charlie Rose, Senior Vice President and Dean of City Year and Adam Foss, Former Assistant District Attorney and Criminal Justice Reform Advocate participate in a conversation with the Presidential Leadership Scholars in Washington, D.C. 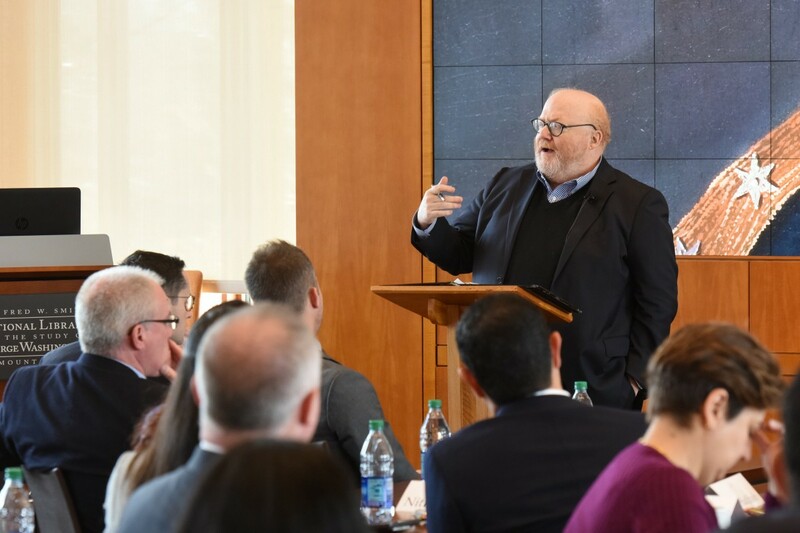 The goal of the Presidential Leadership Scholars program is to foster a growing group of motivated individuals who are committed to making the world a better place, and who recognize the value of exploring a variety of perspectives to the challenging issues that face us. The 2017 Class joins a network of 121 Scholars who share that commitment and vision, and we are looking forward to our next meeting at the George H.W. Bush Presidential Library and Museum in College Station, TX. 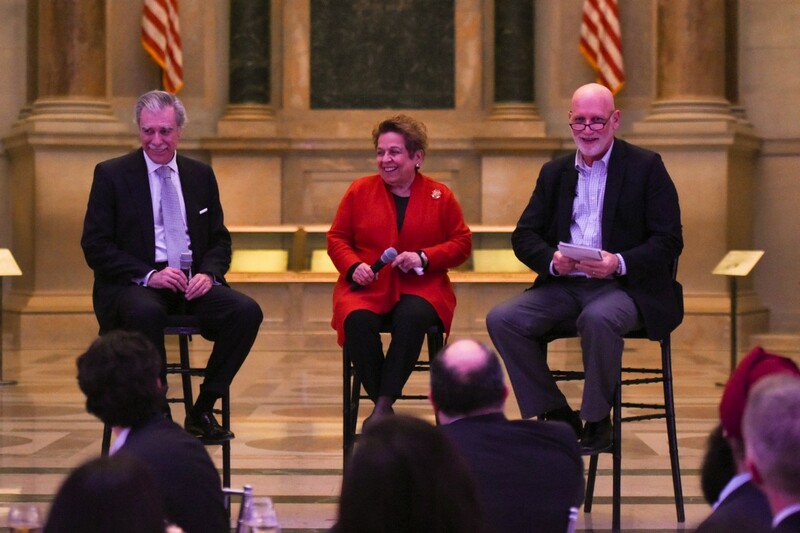 To learn more about the Presidential Leadership Scholars program, visit www.presidentialleadershipscholars.org. 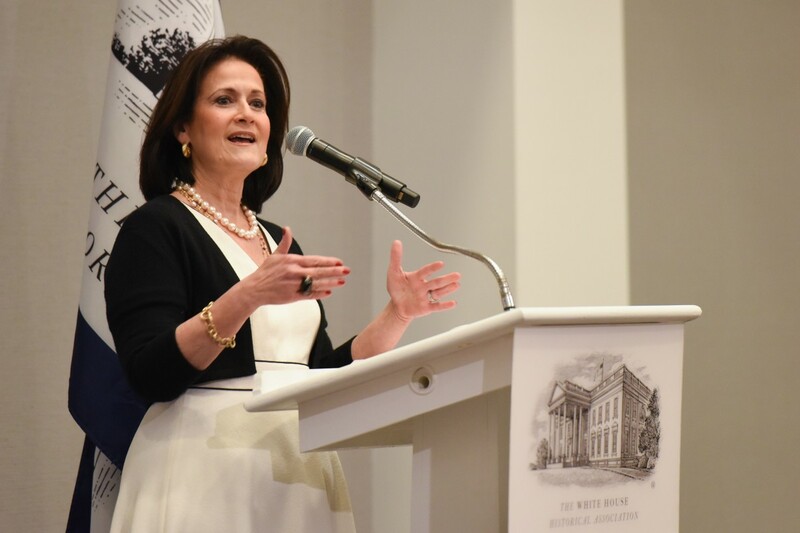 For updates about the Presidential Leadership Scholars, use #PLScholars or follow @PLSprogram on Twitter. 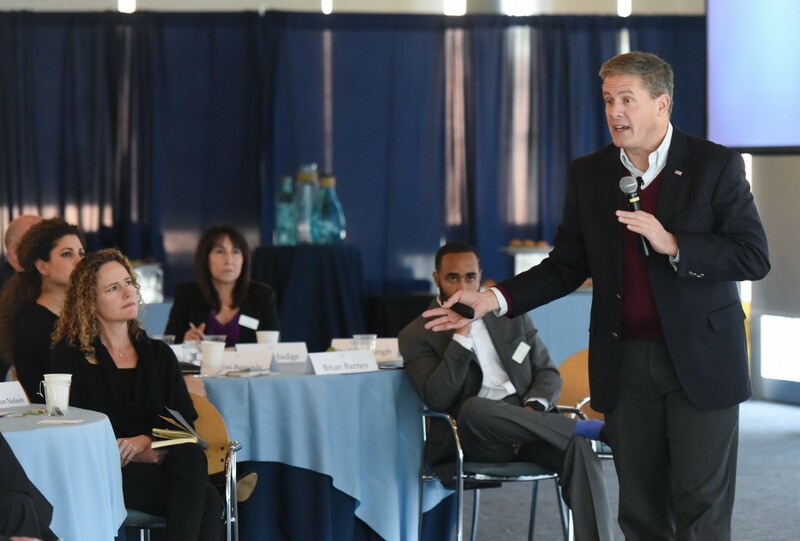 The official Medium page of the Presidential Leadership Scholars Program.